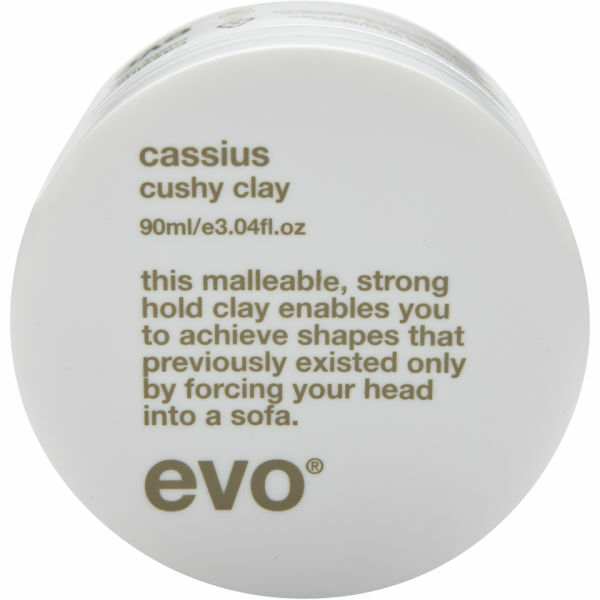 Evo Cassius Styling Clay 90g produces thick texture and volume, whilst providing pliable hold that allows you to re-work your style as much as you like throughout the day. Suitable for all hair types, it's sure to become a staple product in your hair grooming collection. - L.M. Apply to towel-dried hair and style as desired. Really good. Long lasting and none of the shinyness that so many brands seem to offer these days. Will be coming back for more for sure ! I must have gone through at least ten different brands of hair wax/clay trying to find one that work with my hair. My hair is quite fine in texture but there's lots of it and almost all products I try do not last, and by the end of the day seem to have disappeared entirely. What I really like about this clay is firstly it holds all day, better than anything else I've used, and it has a completely matte finish which is important for me as I don't like any shine. Only I very small amount is needed. It needs to be thoroughly rubbed between the hands before applying to ensure even distribution. It thickens the appearance of the hair and adds lots of texture, but doesn't clump the hair. It's similar to Fudge matte paste but with stronger hold. The only thing I don't like much is the smell which is very strange to me - slightly chemical like, although it is not strong so barely perceptible once in the hair.